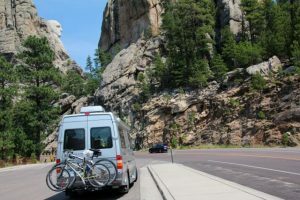 As the saying goes, “It’s where the rubber meets the road.” We’re talking, of course, about RV tires, and for many RVs, tires can be the weak link that disrupts travel if not properly maintained. Quite often, overloading is the cause of tire failure. Follow these simple steps provided by tire expert and FMCA member Roger Marble to increase your chances of problem-free travel. Once you know the basics about your RV tires, you’ll only need a few minutes each month to maintain your properly inflated tires. Knowing this information about your RV tires can truly extend their lifespan. Ready to get started? Know the proper tire inflation pressure for your RV. Ensure that your tires are always inflated to that level. First, it’s important to note that the proper inflation level is unique to your RV. 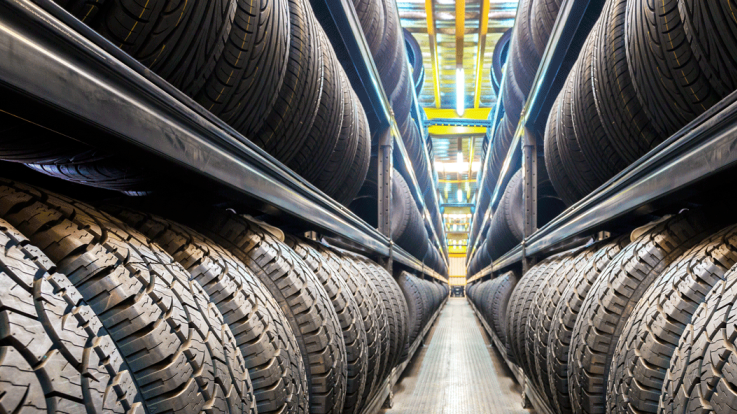 Following the suggested inflation levels provided by the manufacturer on the tire certification label is only the beginning. The manufacturer’s suggested tire inflation pressure is based on an assumption, but only you are able to determine the true weight of your RV during travel. To learn your RV’s true weight, pack it with all the items you expect to carry on your trip – clothes, fuel, food, water, family members, and pets. Then visit a scale that can weigh your RV and provide weights by individual wheel position. This is important because the required air pressure is based on the load on each individual tire. Once you know the load being carried by each wheel position, you can determine the minimum inflation pressure needed to carry that load. Many RVers book an appointment with the Recreation Vehicle Safety and Education Foundation (RVSEF) to obtain individual wheel weights. RVSEF brings its scale to most FMCA events and lets members schedule appointments in advance. 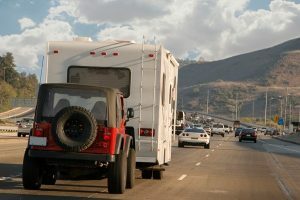 We recommend visiting www.rvsafety.com to help guide you and to gather more information. In addition, you can find a “helping hand” by visiting the FMCA Forums, where you can find threads specifically dedicated to RV tire maintenance. You will also want to be sure to determine your tires’ minimum cold inflation pressure (CIP). Visit RV tires manufacturer websites to find your tire brand and tire size. Once you find that, look for the inflation level that carries your load or greater. This is the minimum cold inflation pressure, and you should go up in inflation by about 10%. Changes in air temperature, for example, can cause minor fluctuations in tire pressure, and increasing the CIP will help to eliminate the need to adjust tire pressure each time these fluctuations occur. When measuring your tire pressure, try to make sure the tire is cool and in the shade. Ideally, the tires will have not been driven on or exposed to sunlight for at least 2 to 3 hours. That usually means the best time to check your tire pressure is first thing in the morning or late in the evening once you’ve settled in after a day of travel. Getting started is always the hardest, but by making tire maintenance — and measuring the PSI of your tires — part of your travel routine, you can greatly reduce the risk of experiencing tire failure while on the road. Speaking of tires… FMCA members are eligible for discounts on Michelin, BF Goodrich, and Continental tires. Members have reported saving hundreds on replacement tires! Learn more. This information is for educational purposes. FMCA shall not be responsible nor retain liability for RVer’s use of the provided information. Prior to making any RV service decision, please consult with an RV professional. Info compiled from published articles in FMCA’s official magazine. FMCA members receive a monthly subscription and have exclusive access to the digital archives. Learn more.